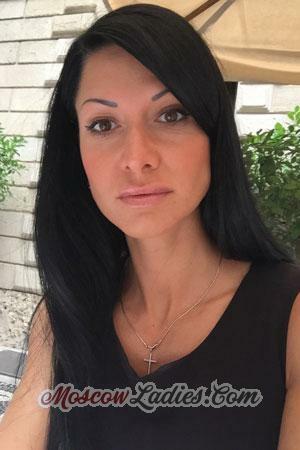 Find the Russian woman of your dreams through us! Meet her to marry her! Russian culture and tradition and Russian Orthodox church create a big impact on its marriage culture. Russia’s views on dating and marriage are still leaning toward Christian Biblical values which see the husband as the head of the family and wife as in-charge of children’s morality. 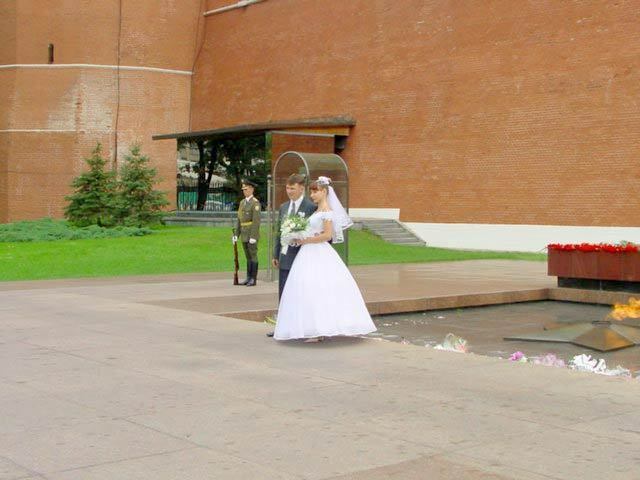 In Russia, marriage is given much emphasis. Russian Christian tradition teaches women to stick by their husbands regardless of one’s virtues and faults. Despite this fact, women in Russia do not consider this as a burden, but a labor of love instead. For them, keeping a family intact is truly what happiness means. Most Russian families are large because a family in Russia doesn’t just stop in a husband, wife and offspring relation. Family for them actually stretches out to the extended families too, which include uncles, aunts, cousins, nieces, nephews, and grandparents. Since Russian people are family-centered, they always keep in touch with their family members frequently and gather together on special occasions. In times of trouble, Russian families are always ready to lend a hand to their relatives. Since early childhood, Russian women for marriage have been taught to value family bonds. It is part of their tradition to cherish and protect their families until the end. Many years ago, young men and women in Russia were taught to be wedded at an early age. In ancient times, Russian people considered a 15-year-old girl to be mature enough to start a family. However, at present, the majority of Russians have closed that idea and prefer to marry when they are ready. Most Russians choose to be successful in their career first so that they could support and give their children a better life. A Russian marriage can also mean several festivities. Since marriage is sacred, Russian people used to celebrate it for two days or more with a lot of dancing and drinking. A traditional marriage in Russia will always start where a groom is required to pay a ransom to free his kidnapped bride. A ransom would consist of cash, chocolates and a bottle of champagne. In other countries, this is called ‘Buyout Bride’. The couple then will leave for the church so that the ceremony will be delivered. Afterwards, they will make their way toward the reception with their families, relatives, and friends. A toast will be done firstly at the reception to welcome the couple. And to sweeten the taste of the wine, the couple had to kiss each other for as long as they could. If they fail to do so, the guests will shout “The wine is still bitter!” It will only stop until the couple will show them the longest kiss. There is also a traditional game in a reception called “Find Your Bride”. It is where the groom will be blindfolded and will be asked to find his bride among a group of women. The groom can touch the ladies’ hand, face, and the leg to guess who among them is his bride. There’s also a crowning of the couple to symbolize glory and honor that God bestows on them. Throughout the wedding celebration, a lot of toasts will be done to wish the couple a prosperous married life. Several gifts and lotteries are given to the couple prior to dancing. The end of the celebration must be sealed with a couple’s kiss as a symbol of the joining of souls. You have just been given a glimpse of how Russian marriage is done. Experience these by yourself as you register today to meet and marry the Russian woman of your dreams! 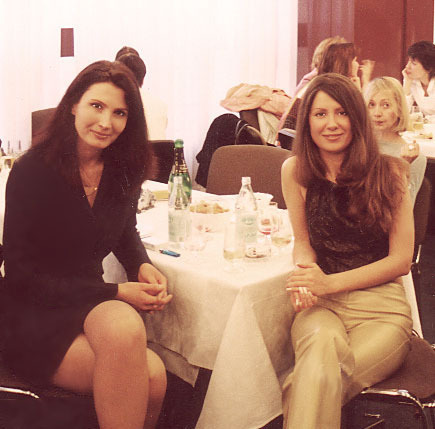 Meet these charming Russian women on one of our social tours. Sign up today for more information! Russian women don’t smile to strangers but make a good chat. Women in Russia are not accustomed to smiling toward strangers in public places. They often display a cold expression when they are out. Russian ladies usually conceal their mood in public, but they are definitely the type of people who don’t keep their opinions by themselves. When you talk to them, you’ll realize that they are interesting to talk to. Russian women are easy-going toward trusted friends. Behind their expressionless faces is their fondness to hang out with friends. These ladies are happy-go-lucky too. They like going to parties and spending their time out. Most Russian women can be seen visiting the spa, concerts, opera, festivals and a lot more. Going out for relaxation is a haven for them. All you have to do is gain their trust to see this side of them. Russian women are passionate and caring. These women are passionate when it comes to love and dating. They always give full devotion and confidence to romantic relationships. As much as they appear poker-faced, Russian ladies are caring as well. You’ll only realize when you start dating one. This list of their qualities won’t be complete without letting you know about their faithfulness. Russian ladies take romantic relationships seriously because they believe that marriage will be it’s end-goal. You can expect a Russian woman to stay true to you in all ways possible, as long as you do the same. It is widely known that Russian women are independent. They prefer taking care of themselves. In terms of romantic relationships, these women don’t like being a burden to their partner because they think they can stand on their own feet. They don’t like going around with a lot of needs from you. You can expect a Russian partner to ask for help from you when it’s very necessary. These qualities make these women bride-worthy. If you are ready to meet your very own Russian bride, allow us to help you. Sign up now and be ready for fruitful days ahead of you!